Description Photocopied (copy) version of the Pullman Company List of Standard, Private and Tourist Cars with form numbers of diagrams to be used in issuing tickets and distributing space. No. 31, Cancelling No. 30. Issued July 1, 1934. Subject to Change without notice. 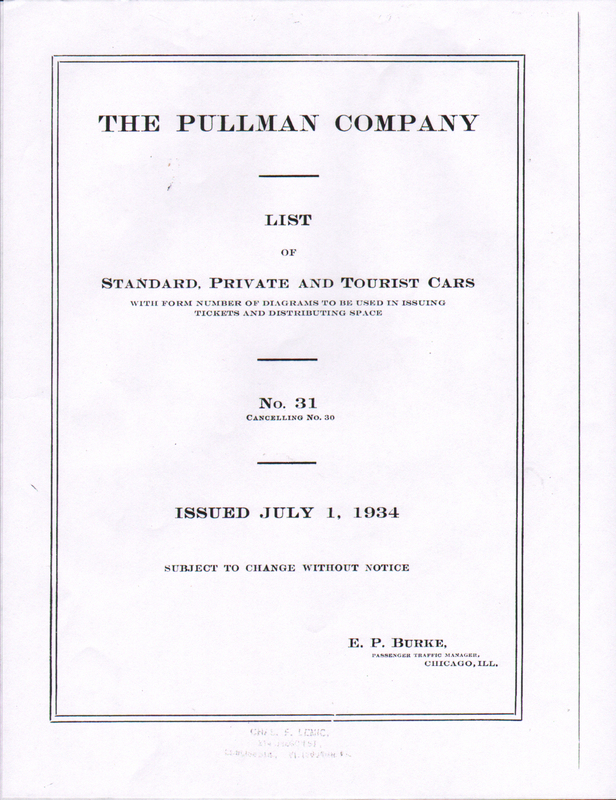 E. P. Burke, Passenger Traffic Manager, Chicago, ILL. On the rear cover: Form X25.91 - The Pullman Press, Chicago U.S.A.